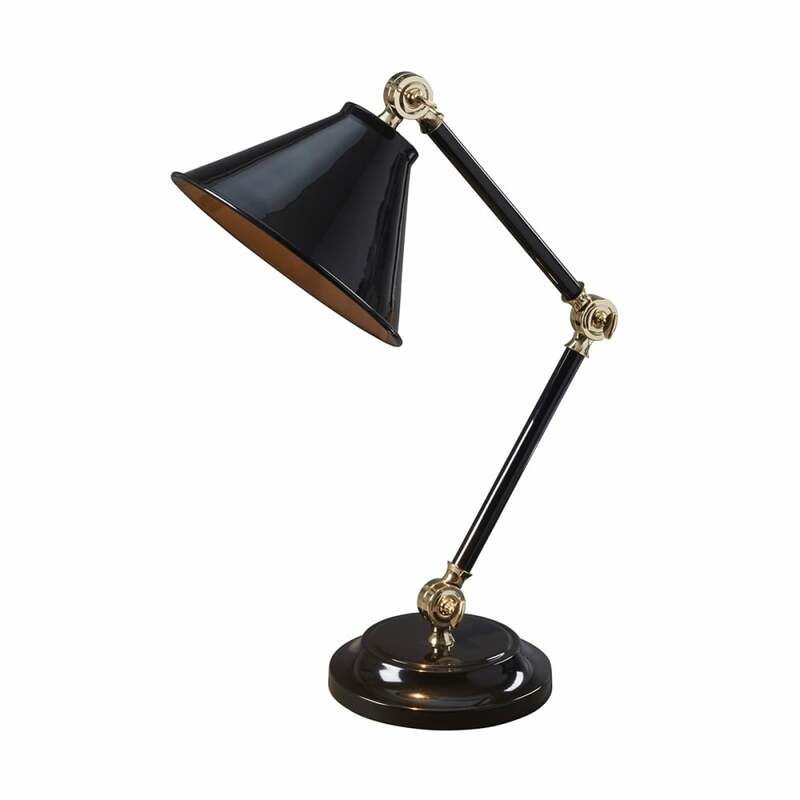 This gorgeous retro table lamp is finished in shining Black or sultry Dark Grey both with Polished Brass detailing or in gleaming White with Polished Nickel detailing, giving it a contemporary yet classical edge. We love it in vintage-inspired office interiors and bedrooms. View All Elstead Lighting for more information on Provence Element or view the complete Provence Element Collection.